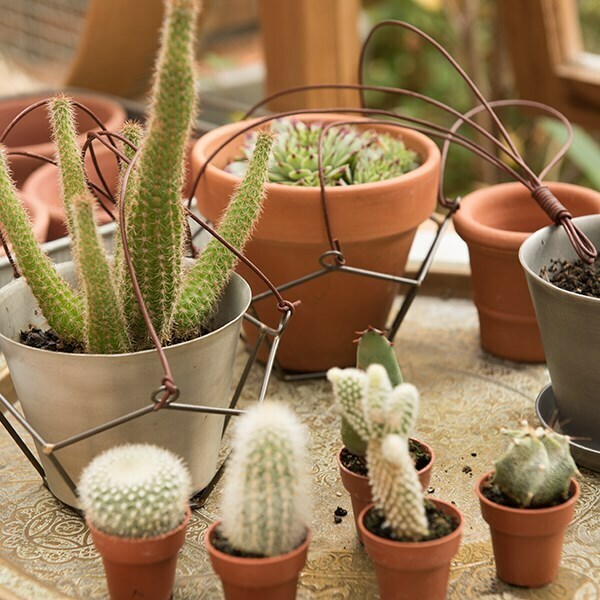 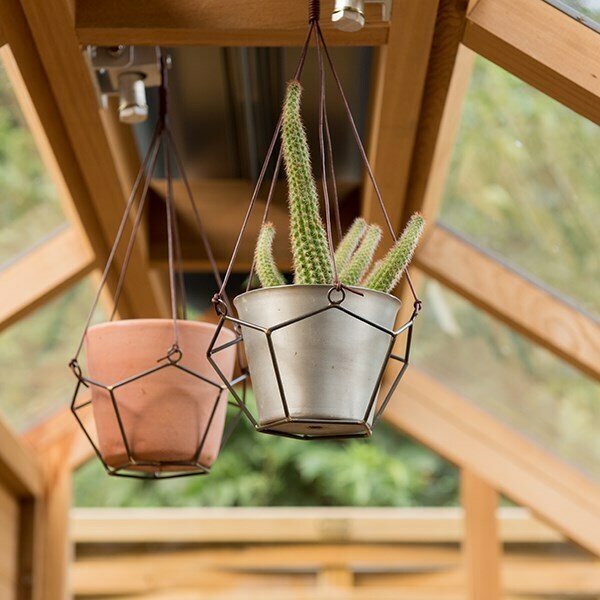 Great for adding vintage charm to the conservatory or potting shed, these macramé wire hangers look fabulous filled with potted succulents or trailing plants and hung from ceilings, shelves and beams. 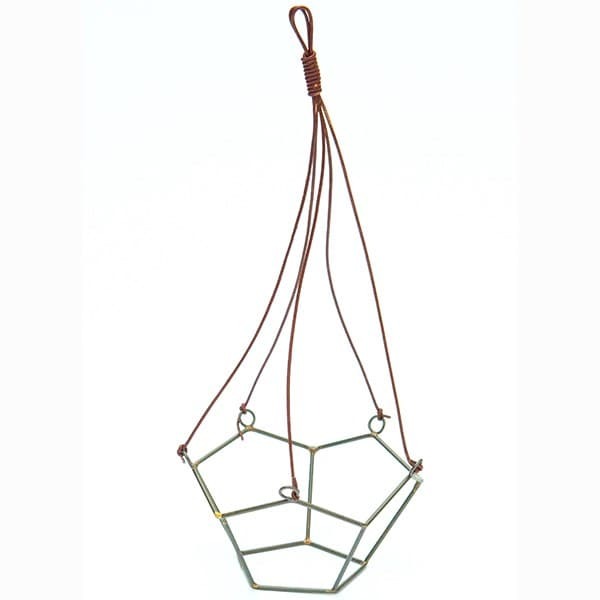 Made from 2.5mm steel wire with a matt antique zinc finish, each is lacquered for rust protection and includes a brown leather hanging cord with a strong double loop. 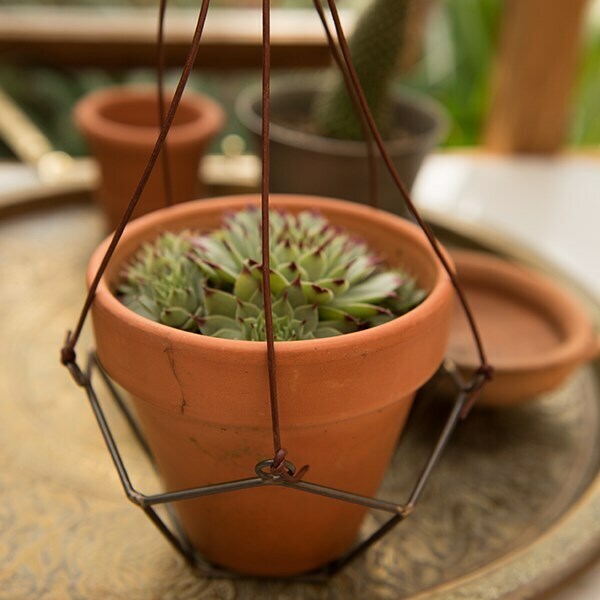 Please note: pot and plant are not included.